Ways to deal with the Eviscerating Hex attack from Shuro Chi, the Corrupted in Destiny 2. Players working their way through the Last Wish raid may find themselves wondering how to complete the Which Witch challenge in Destiny 2. The challenge itself pits players against Shuro Chi, the Corrupted who has devastatingly fast attacks like Eviscerating Hex that can be hard to dodge. What’s worse is that if you fail to dodge Shuro Chi’s Eviscerating Hex attack, you risk failing the Which Witch challenge. To help simplify the process, we’ve put together a quick guide on how to complete the Which Witch challenge in Destiny 2! Below, we'll walk you through the best ways to handle Shuro Chi, the Corrupted and complete the Which Witch challenge in Destiny 2. 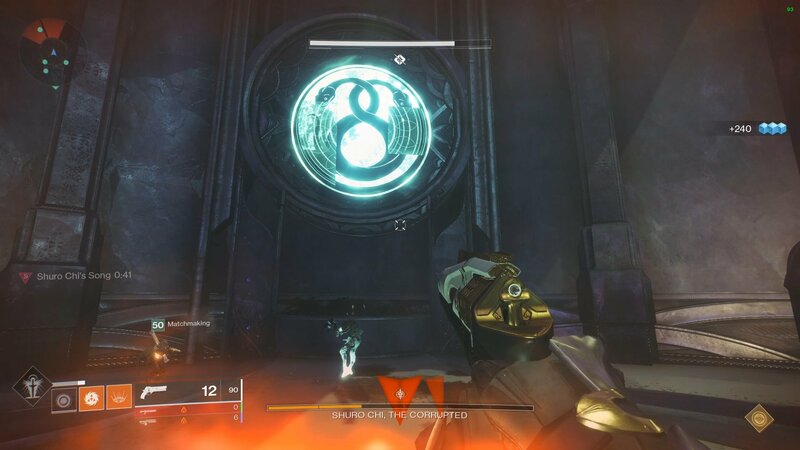 As stated above, the Which Witch challenge is a component of the Last Wish raid and can be quite difficult for Destiny 2 players to complete on their first go. Despite how hard it is, it’s well worth the effort as you have the chance to earn some noteworthy gear. To get the Which Witch challenge, you’ll need to speak with Hawthorne. After acquiring the challenge, head off and begin the fight with Shuro Chi, the Corrupted. When fighting Shuro Chi, the Corrupted you’ll want to avoid her laser attack called “Eviscerating Hex” as this can result in you failing the Which Witch challenge. Destiny 2 players have noted on Reddit that you can be hit with Eviscerating Hex once and still continue the challenge, though if you get hit more than once you fail. To deal with Eviscerating Hex you’ll want to avoid standing still for too long. We also recommend familiarizing yourself with cues for Eviscerating Hex. For example, during the last adds phase Shuro’s “Tempo Quickens” indicating that you can try and move up to gather the Prism Weapons. Shuro will also scream prior to attacking at times, letting you know that you need to be on the move. Even during these instances, try and keep something between you and Shuro as this can help mitigate situations where Shuro’s attack “comes out of nowhere.” At least it felt that way for us. The rest of the challenge is relatively straightforward. To complete Which Witch you’ll need to clear adds and move up towards Shuro. Avoid the Eviscerating Hex attack from Shuro Chi, the Corrupted and work with your team to complete the Which Witch challenge in Destiny 2. One of your teammates needs to collect Eye of Riven, the rest need to pick up Prism Weapons, stand on a plate, and shoot to the right to form a triangle and remove Shuro’s shield. After that, rinse and repeat. Clear adds, chip away at Shuro’s health, stand on puzzle plates, and so on. Again, the hardest aspect of the Which Witch challenge is dealing with the Eviscerating Hex attack from Shuro Chi, the Corrupted. Look out for certain cues, keep walls and other forms of cover between you and Shuro, actively dodge, and you should be able to avoid Eviscerating Hex and together with your team, complete the Which Witch challenge in Destiny 2. 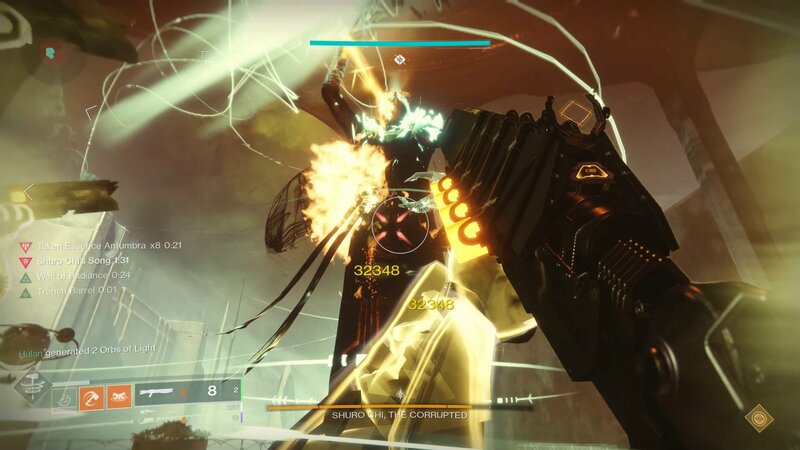 For more on how to defeat Shuro Chi, the Corrupted, be sure to check out this helpful Last Wish raid guide courtesy of Shacknews. Alternatively, you can check out YouTube user Datto as they run through the fight with Shuro Chi, the Corrupted in the video down below! For more on Destiny 2, be sure to check out some of our previous features including the news that Black Armory is coming to Destiny 2 on December 4, patch notes from Update 2.0.5 in Destiny 2, and how to get the Wish Ender Exotic Bow in Destiny 2. By reading through this guide, you should now know how to complete the Which Witch challenge in Destiny 2.